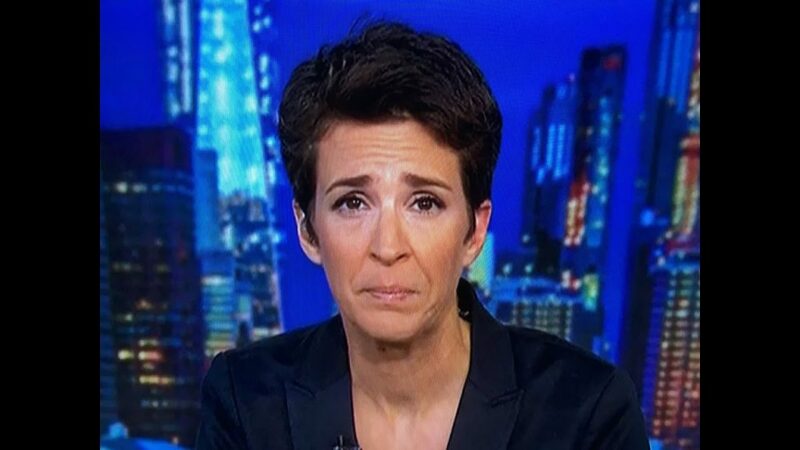 Rachel Maddow THREATENS To Release Trump’s Taxes, Trump Beats Her To It – LIBERAL MELTDOWN ENSUES! In your face liberals! President Trump is way too smart for all their dramatic crooked attempts to make Donald Trump look like he has something to hide…they wish. …but it’s just not so. So, what happens next? Well, the President immediately releases his tax return before she even gets a chance to carry out her threat and it turns out…there was nothing to find out of the ordinary. Well, nothing that would benefit the left that is…however, plenty to benefit the truth. We all know that Donald Trump is a rich man. That year he made about $150 million; apparently he has a seriously good tax team because he paid out $38 million in taxes. So…Ms. Rachel Maddow got her ‘stuff’ pushed back in, in a couple of ways from these results. Second…it shows that apparently Donald Trump actually paid Uncle Sam MORE taxes than others in his income group that year. A leaked version of President Trump’s tax return from 2005 shows that he actually paid a higher tax rate than a typical taxpayer in his income group. Trump paid $38 million in taxes on $150 million of reported income that year, for an effective average tax rate of 25.3 percent. But that year, those among the top 0.1 percent of taxpayers had an average tax rate of 22.48 percent, according to data from the Tax Foundation. Well, I’ll be darned…President Trump comes out of this looking pretty dang good. Poor liberals…they really thought they had something on him, but alas… they have nothing but their sad dark souls. When word gets out of this…I am pretty sure if we listen hard enough, we will hear the triggering of millions of snowflakes across the nation.